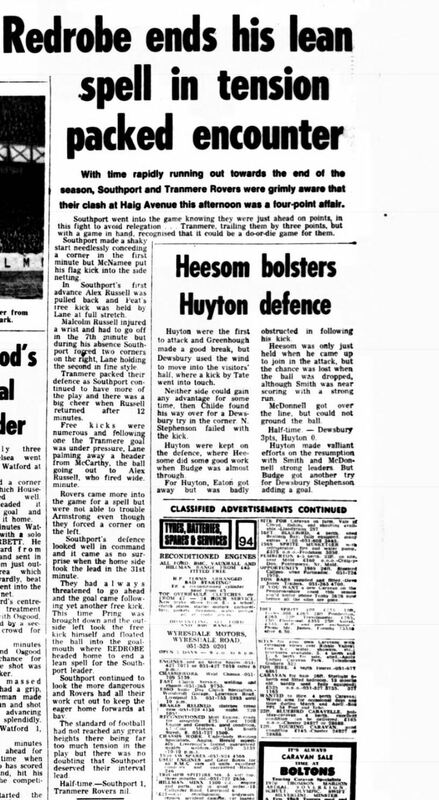 One of the most important clashes between Southport and Tranmere Rovers took place on this day in 1970 with both sides battling to stay in the Third Division. 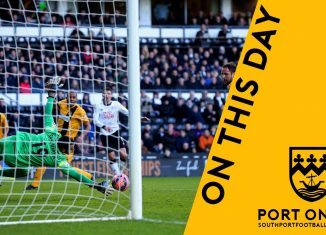 Alex Russell, making his 250th League appearance for the Sandgrounders, was part of a side unchanged for the 7th successive game, with the form book suggesting that the Sandgrounders could pick up their first “double” of the season. 7 points from their last 4 home games for the Sandgrounders vs 1 point from the last 4 away games for Tranmere, and Tranmere sitting 3 points behind their rivals. 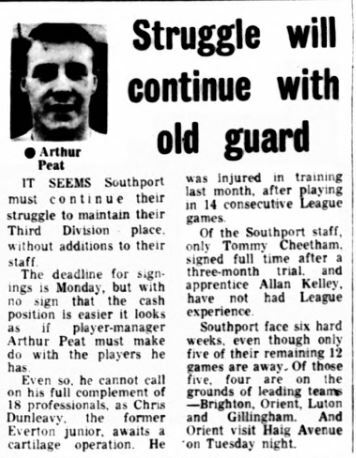 For Player-Manager Arthur Peat it was a case of make-do with what you have, as the cash-strapped Sandgrounders approached transfer deadline day.